26 | November | 2009 | Through the seasons before us.. The first game of a City Ground double-header, this is the game where a mixed-supporter section is being trialled in the family area, followed of course by the visit of Leicester where I don’t think such a scheme would be entertained. The Reds, as we well know, are on a solid run of nine games unbeaten – but that does need tempering with a dose of reality – the last four have been draws. 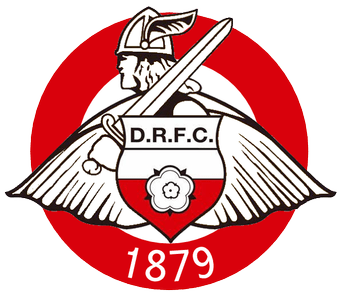 Rovers have had a more mixed bag of results which sees them sitting at 16th currently in the league – however, in their last run out they put two goals past a decent Queens Park Rangers side with no reply. Certainly not a team to be taken lightly, which we know better than most given how long we’ve spent in the same division as them compared to many in the Championship. All eyes will be on new loan signing Nicky Shorey who has claimed the always suspiciously unfilled number three shirt, of course, a shirt that holds many special memories for Forest fans. He will slot in to his regular position of left back which is timed well as Chris Cohen’s deputising is rendered impossible since his picked up a booking that sees him suspended. After a brief run out against Middlesbrough Dexter Blackstock will be keen to get back into the thick of it, and Robert Earnshaw’s influence in that game too will see the Welsh striker desperate to claim a starting berth – particularly after the partnership of Adebola and McGoldrick was ineffective-at-best up at the Riverside Stadium. Of course, Majewski and McGugan will also be pressing for a place in the side – meaning Billy has a few selection posers! Donny welcome back Martin Woods from suspension, and could call upon Lockwood and Webster who are back from injury. The man to watch for us though is a familiar thorn in our side, Billy Sharp has proven a pain in the arse for Scunthorpe, Sheffield United and now undoubtedly Doncaster against us. He’s notched five goals so far this season, and frankly I hate him playing against us! Also remember that before the match you can contribute Festive Forest packages for the forces, and bring either boxed addressed packages for servicemen and women – or perhaps if you don’t have any loved ones out in warzones you could contribute a few goodies. Brian Clough Stand car park before the match.